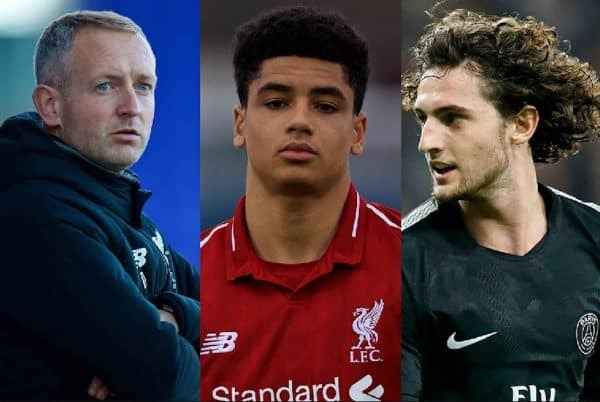 We round up the latest Liverpool news and transfer rumours on Tuesday, on a day when the Reds suffered another injury blow before the weekend’s action. Yet another defensive blow for the Reds. The Eagles will be depleted this weekend. The Spaniard urges his side to focus on themselves. The veteran heaps praise on the Brazilian’s influence. Liverpool U23s were held to a 1-1 draw by Brighton on Monday night, although they had to play three-quarters of the game with 10 men. “It was a baffling decision, to say the least. “The referee had a yellow card in his hand and had given a free-kick outside the box, which it was – it was a clear foul and a booking. “George Johnston is there to defend. The linesman got involved and changed the decision. That changed the whole complexion of the game. It was only Hoever’s fifth start for the U23s, and his 17th outing across the age groups since joining from Ajax. Rabiot to Leave on the Cheap? This feels like a transfer story not to be taken too seriously, given the source! Regardless, according to Paris United, Paris Saint-Germain will allow Adrien Rabiot to leave for a cut-price fee of £13.4 million this month, and he would be looking for a £170,000-a-week salary. The France international has confirmed he won’t be signing a new deal with the Ligue 1 giants, meaning he will currently leave when his contract expires in the summer. Liverpool’s interest in Rabiot appears to have cooled significantly, however, so there’s not a huge amount to see here. According to Brazilian outlet UOL, Porto centre-back Eder Militao is eyeing up a move to England. Liverpool are one of the clubs claimed to be interested in the 20-year-old, who has a release clause of £45 million. The Reds’ biggest rivals, Man United and Everton, are also said to be monitoring the situation closely. It could be one to keep an eye on in the summer, with Jurgen Klopp highly unlikely to add to his squad this month despite calls for reinforcements. 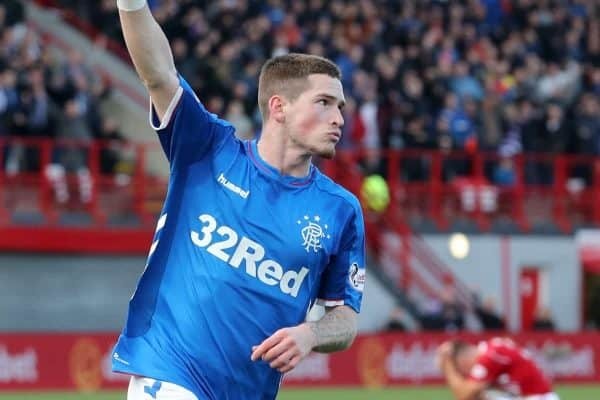 Ryan Kent impressed in Rangers’ 1-0 win over Celtic last month, as his loan spell at Ibrox continues to go from strength to strength. 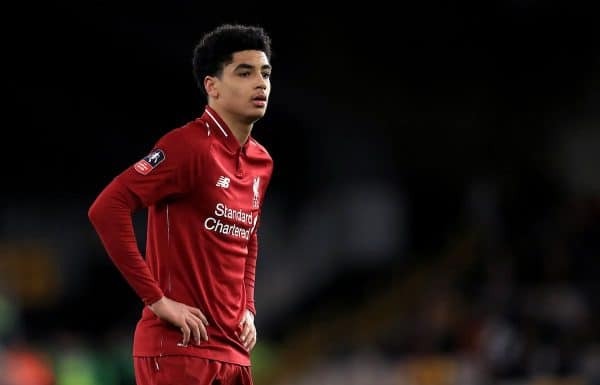 One particular admirer of the youngster’s Old Firm showing was former Rangers and Netherlands favourite Ronald de Boer, who spoke glowingly about the Liverpool man. “I was very impressed with Rangers in the Old Firm game. They were obviously very pumped up but I thought they played the ball around well, too,” De Boer told the Mail. “I liked Ryan Kent a lot. He is a very good player. I hadn’t seen him before and I looked up that he is on loan from Liverpool but I really liked him. Kent is next in action on Friday evening, as Steven Gerrard’s side visit Cowdenbeath in the Scottish Cup. Jonathan Moss will take charge of Liverpool’s Premier League clash with Crystal Palace on Saturday afternoon. 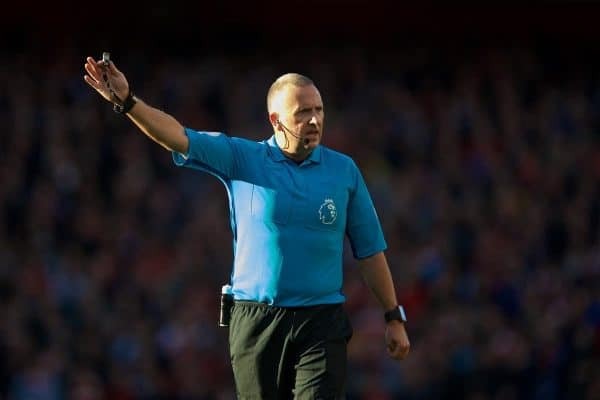 Only Mike Dean (nine) and Michael Oliver (five) have produced more red cards this season than Moss (four), who awards an average of 22.07 fouls per game—the eighth-most of the 18 top-flight officials. He took charge of Liverpool’s 3-0 win at Watford in November, rightly giving Jordan Henderson his marching orders. Roy Hodgson returns to Anfield hoping to put a dent in the Reds’ title hopes, as they aim to go seven points clear of Man City again.